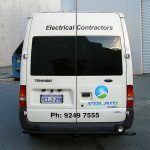 Posts tagged "Van Signage Perth"
Ford’s new Transit Custom is perfect for signwriting, with large blank sides, which is why when Australian Mobility Equipment approached us to do their van signage, we were able to come up with a powerful design. 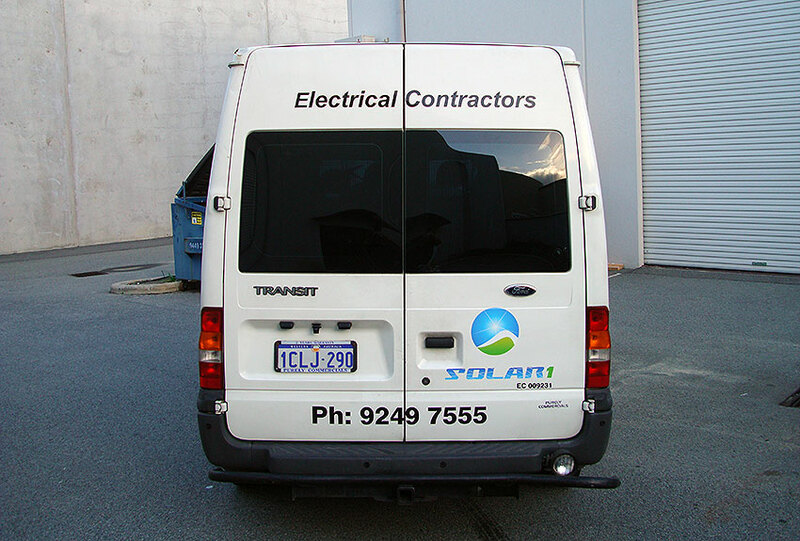 Using a combination of vinyl and digital print, the signage stands out, and with one-way vision on the rear window, visibility is good, too. Do you have a van you need signs for in Perth? Then please head to our contact page to ask for a quote. We’re here to help. The great thing about signwriting a van is the large flat area to display a logo or message. 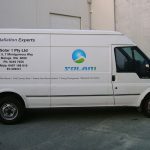 For example, this Ford Transit looked quite plain without signage, so using a simple combination of vinyl lettering and digital print, we’ve added a logo, a few points and contact details. Of course, it’s not the boldest design out there, but it gets the message across so that when the company is installing, people know who it is. If you have a van you need signwritten, please head to our contact page and request an obligation-free quotation. 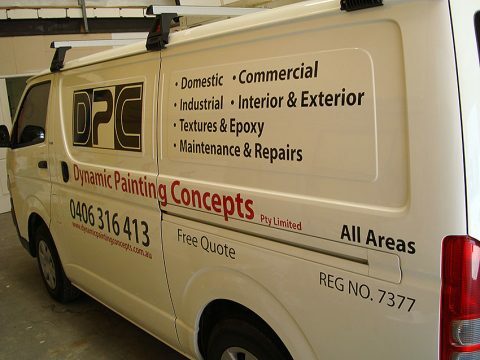 If you need confidence in your vehicle signage, Perth Graphics Centre is here to help. With some signs shops in Perth using inferior materials which curl up the edges, PGC always uses high-performance cast vinyls on vehicles. No exceptions. No cost-cutting. 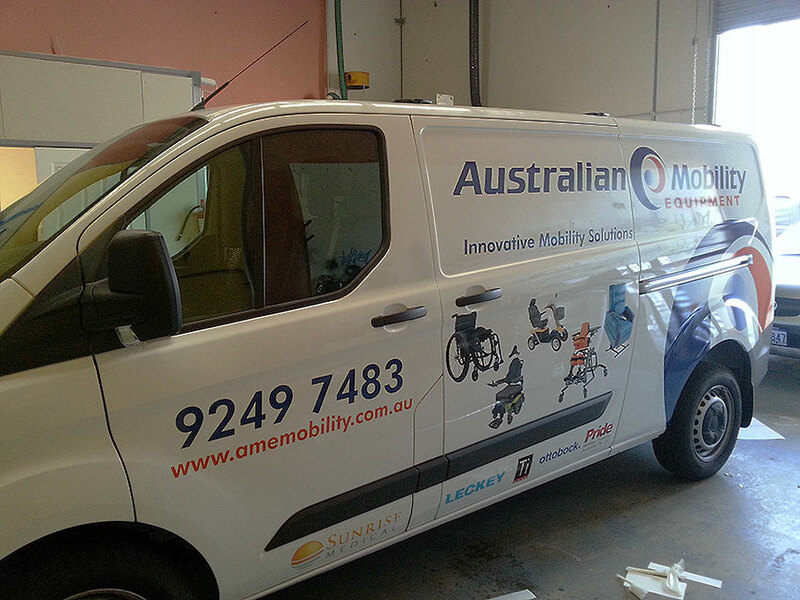 You’ll always get the longest lasting product when you order vehicle signs from Perth Graphics Centre. 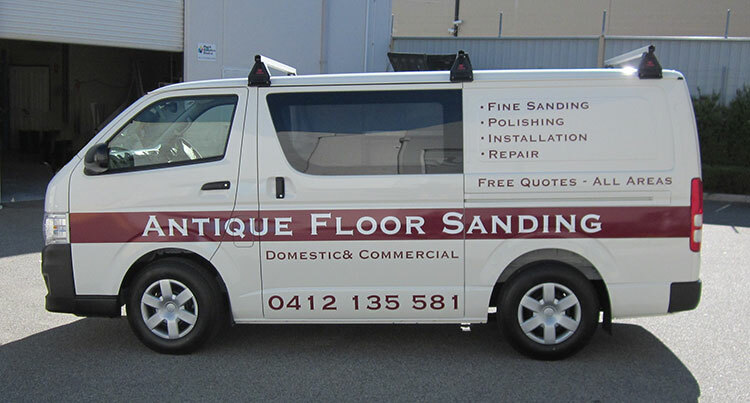 So, if you’ve been let down by substandard products in the past, head to our contact page and request a quote. Our long-term commitment is to always use long-term products. 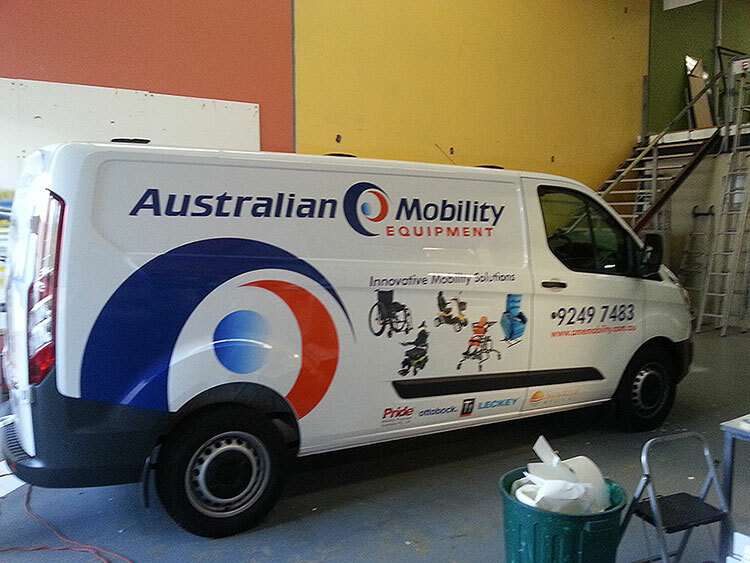 Are you in need of vehicle signage? 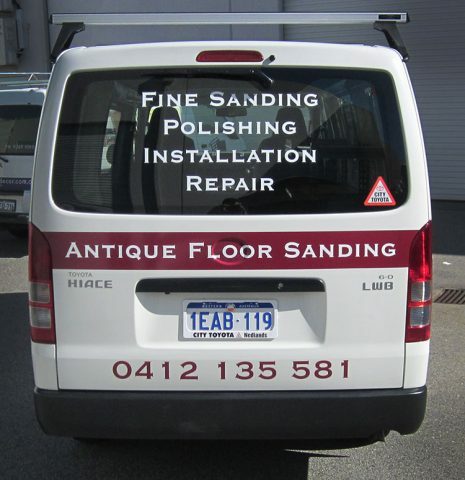 Perth Graphics Centre can help. 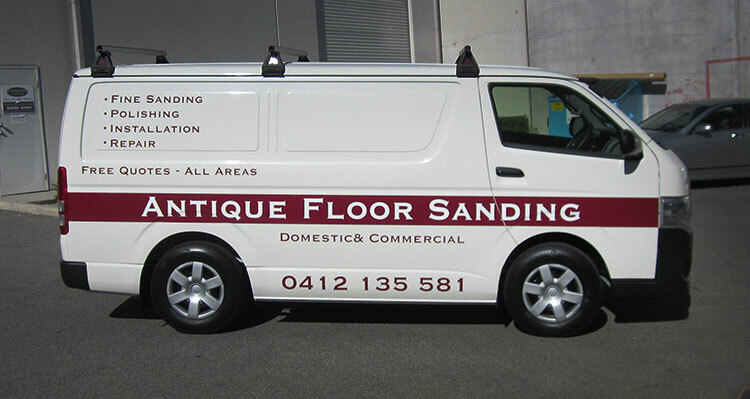 Have a look at this van signage Perth Graphics Centre completed recently. 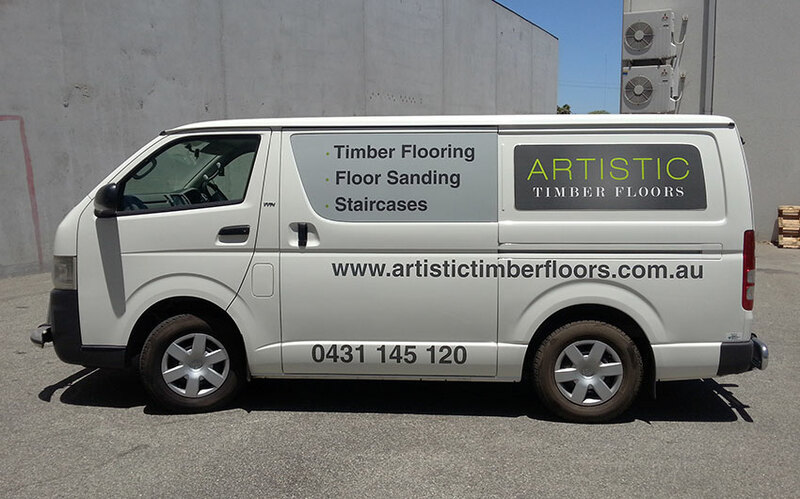 Rather than embarking on a vehicle wrap, Perth Graphics Centre and the customer decided on a painted background with digital printing and vinyl cut lettering. It lasts longer and there’s no risk of lifting as there is in some wraps. It also gives a much crisper look with sharper edges and more defined text. 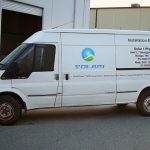 For van signage, it’s the way to go. 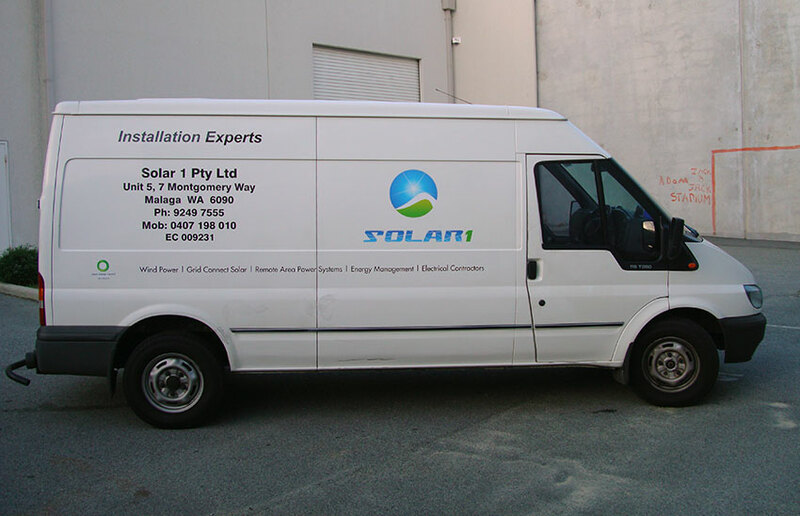 If you have require vehicle signage or van signage, then call Perth Graphics Centre on (08) 9248 6226 or click here to request a quote. There are plenty of small vans to choose from these days. Renault Kangoo, Volkswagen Caddy, Citroen Berlingo, just to name a few. 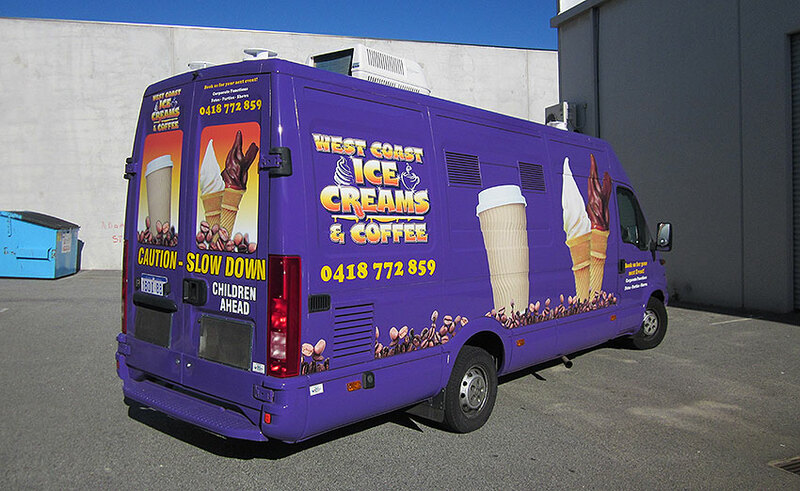 And all of them are a fantastic canvas for van signage. 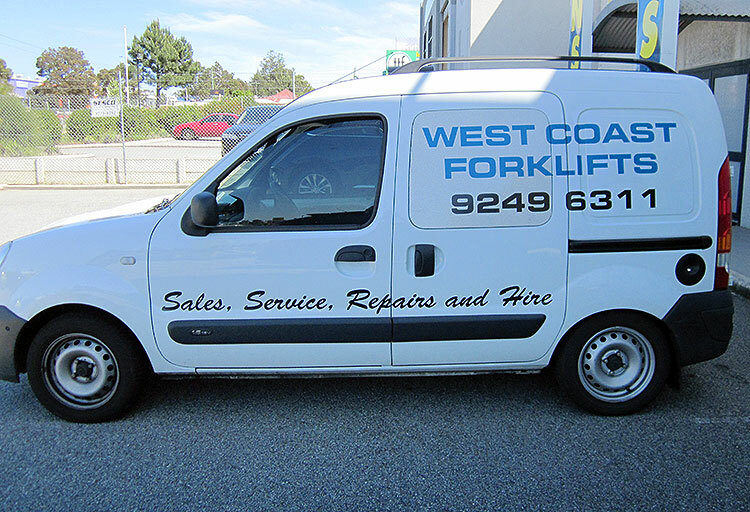 When West Coast Forklifts needed to signwrite their Renault Kangoo, Perth Graphics Centre was chosen. We used a very simple and clean look which is consisten with their existing signage. 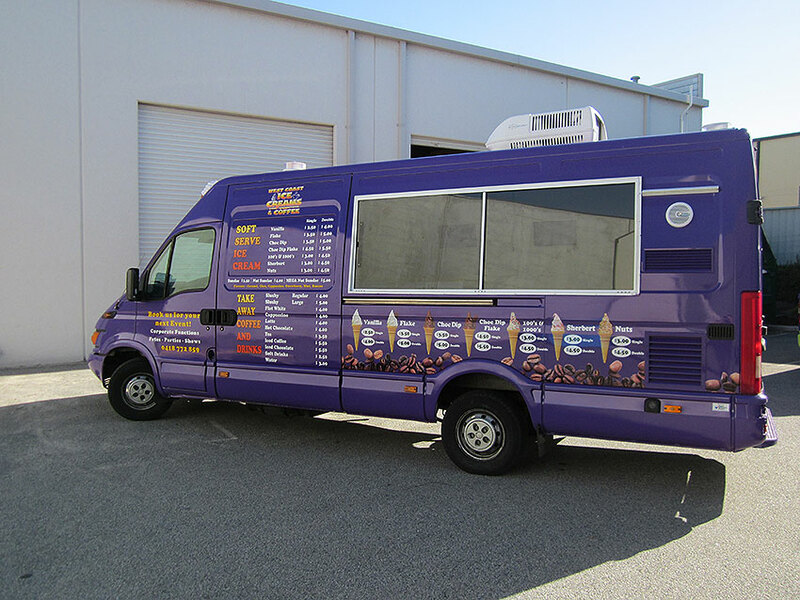 Of course, high performance outdoor-durable vinyl was employed to ensure a long life in the sun. 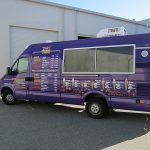 It’s not easy to see from the photo, but the passenger-side window in the sliding door is actually covered in one-way vision, making it easy to see out of when changing lanes. If you have a van you’d like signage on, just call the best signwriters in Perth – PGC. 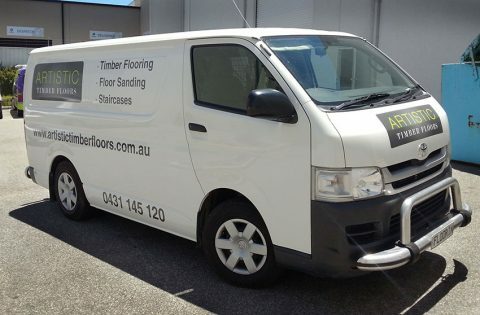 Click here to email us and ask for a quote. 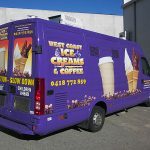 As you may have seen from previous posts, Perth Graphics Centre is extremely experience in signwriting Toyota Hiace vans. The van signage you see here is the definition of keeping it simple. 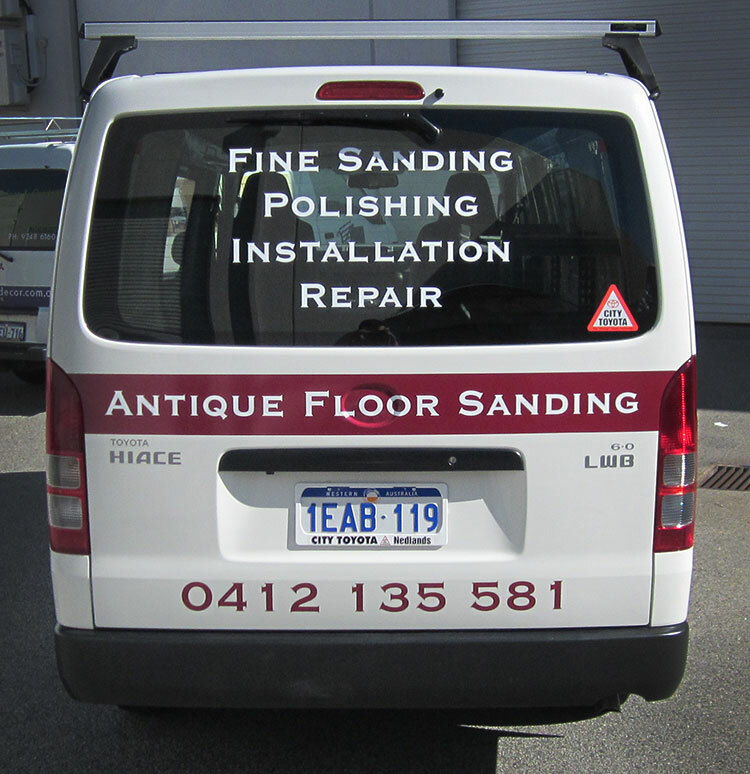 Vinyl-cut lettering laid over a burgundy panel – it gets the point across and makes the name stand out. 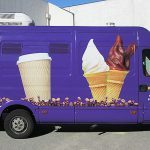 The vinyl signage we have used is made from cast vinyl, which is the only grade of film to use when you’re applying to vehicles. 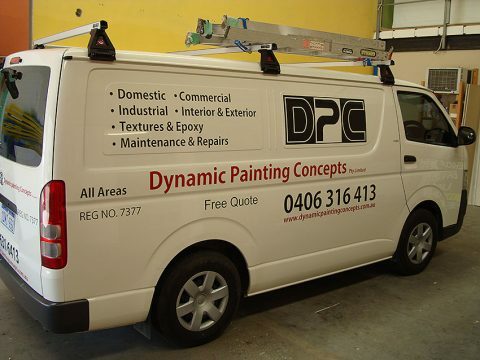 If you need signage on your work van, then Perth Graphics Centre are the people to see. 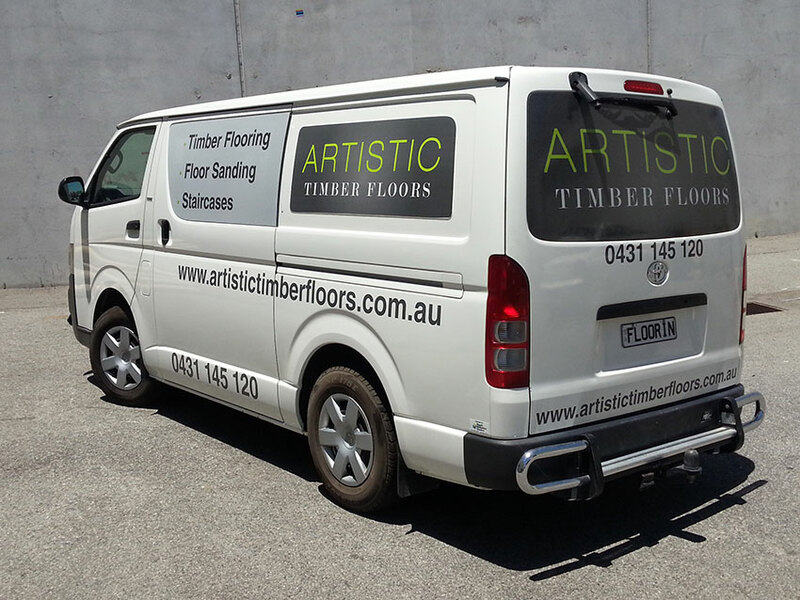 Click here to ask for a competitive quote on your van signwriting.